Gawker Media founder Nick Denton says there's a "whole bunch of inbound interest" from potential buyers and he's "looking at all possible outcomes" amid ongoing legal challenges. One of the possible outcomes is a bankruptcy proceeding, he acknowledged during an appearance at the Code Conference. But "we have a whole bunch of hearings to go," he said. "So far, all we've done is we've hired Mark Patricof to advise us on strategic options." 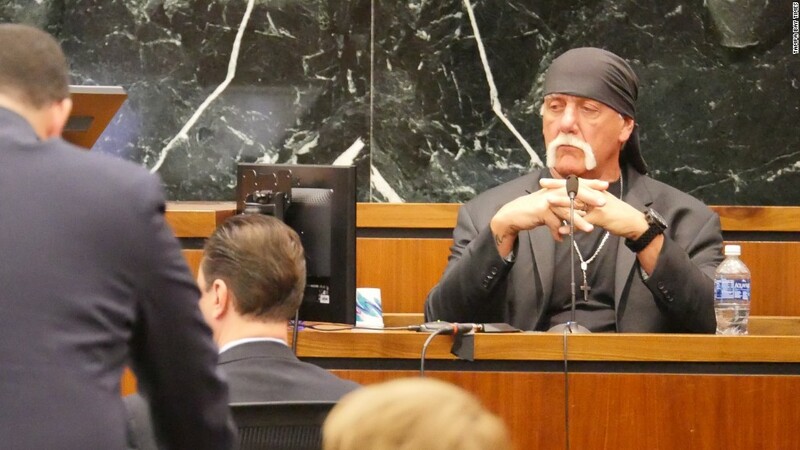 The hearings Denton mentioned are for Hulk Hogan's invasion of privacy suit against Gawker. Another hearing is scheduled for June 10. Last week the billionaire tech entrepreneur Peter Thiel confirmed what Denton had long suspected: that Thiel was secretly bankrolling the Hogan suit and other litigation against Gawker. Interviewer Kara Swisher had invited Thiel to join in the interview, but Thiel declined. Near Denton was an empty chair to highlight his absence. "We believed that there was some secret backer," and thought Thiel was one possibility, Denton told Swisher on Thursday. After Denton spoke with The New York Times about the possibility — in an article that did not name any names — Forbes reported that Thiel was the financier, and Thiel confirmed it to The Times. Thiel has spent millions of dollars supporting an unknown number of lawsuits against Gawker. In a statement, he said Gawker had "built its business on humiliating people for sport." Denton said he was "not exactly sure" what prompted Thiel's "personal vendetta." "If he was sitting here, we could just talk about this," he noted, gesturing to the empty red chair next to him. In 2007, one of Gawker's former blogs, Valleywag, published a story titled "Peter Thiel is totally gay, people." In an interview two years later, Thiel equated Valleywag's writers to terrorists. On stage, Denton defended the alleged "outing" of Thiel by saying it was "widely known in the gay community and it was widely known in Silicon Valley." "I don't think it is a shame," Denton said. "The people who seem to be most sensitive about outing, at least judging from Twitter, seem to be straight people. It's actually strange." Denton acknowledged that some past Gawker stories were "hurtful" and said "we overstepped the mark sometimes," but defended critical, independent coverage. "Our readers and we have benefited from the honesty and the fearlessness of Gawker writers," he said. "And yes, now we're paying a price for some of the stories that Peter Thiel didn't like." Asked about Silicon Valley A-listers who bristle at critical coverage, he said, "They're just not used to it. The money is relatively new and the power is relatively new. And we're in this situation where the rich seem, at least, to much of the outside world, to be controlling things from the shadows. Funding lawsuits secretly; special purpose vehicles; offshore accounts; whatever it is, they can exercise power very discreetly." That's his argument for the necessity of Gawker. And yet the company continues to fight three lawsuits, including the one brought by Hogan, who was awarded $140 million by a Florida jury in March. After the June 10 hearing, "it goes to the appeals court," Denton said, and "we're pretty confident that once we actually get it in front of a higher court... they'll find in our favor, or reduce very significantly what is clearly an outsized verdict." The lawsuits have been taxing for Gawker, forcing the company to seek outside investment for the first time. Denton is also reportedly renting his apartment. Some media industry analysts believe Gawker Media may end up being sold in pieces, with titles like Gizmodo and Kotaku going to various buyers. Denton told Swisher that "after all the news last week and Peter Thiel's appearance from backstage in this story, we got a whole bunch of inbound interest. So that was interesting." After the on-stage interview, Denton declined to identify any of the interested parties.